Students get fully responsive and interactive e-book that comes complete with flashcards, quizzes, glossary, knowledge checks, connect the idea, try me and many more. 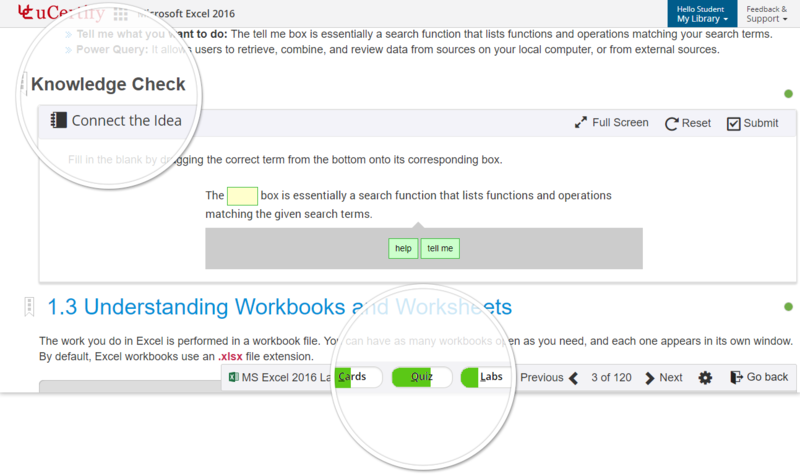 Students can add bookmark, confidence, and notes for terms while going through the lessons. These help students to master the key concepts. These provide step by step process to attempt the lab tasks. These define the key terms of the chapter.